A healthy kale pineapple smoothie recipe that is loaded with protein, tastes fabulous, and will keep you powered all morning long. One sip, and you will feel ready to take on the world! 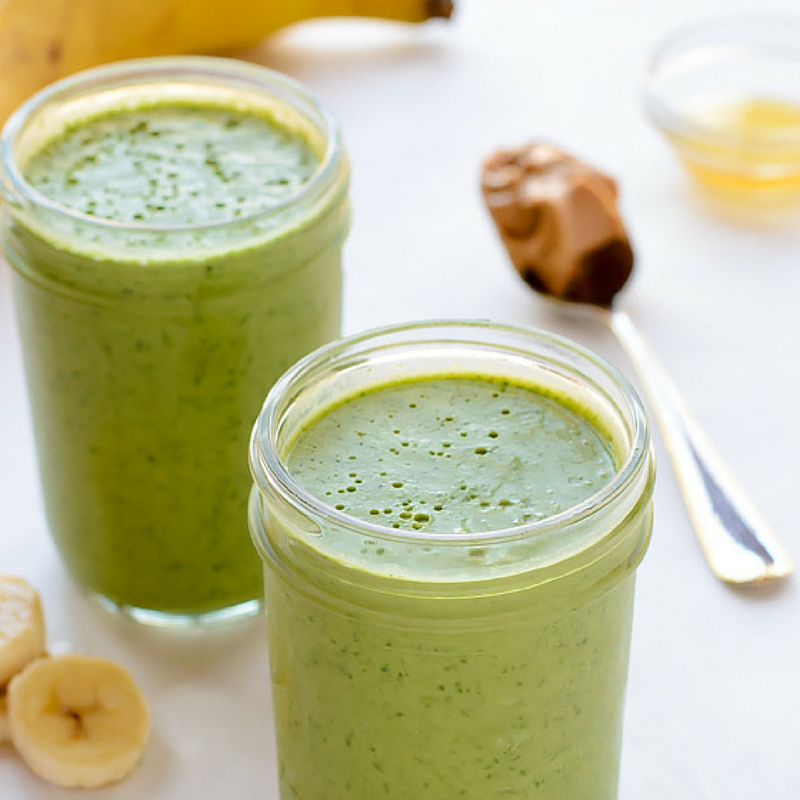 Place all ingredients (kale, almond milk, banana, yogurt, pineapple, peanut butter, and honey) in a blender and blend until smooth. Add more milk as needed to reach desired consistency. Enjoy immediately.